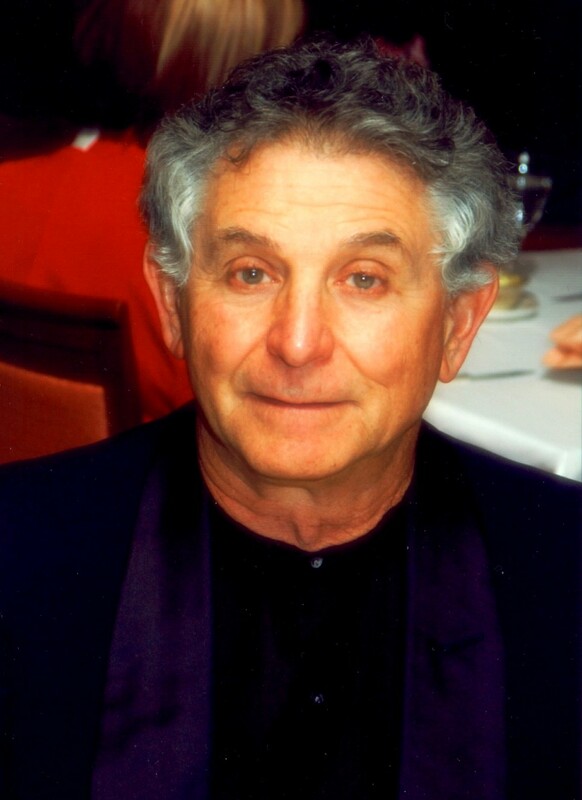 Auggie Talk: "Trapped" by George A. Berstein. With GUESTPOST by George A. Berstein. 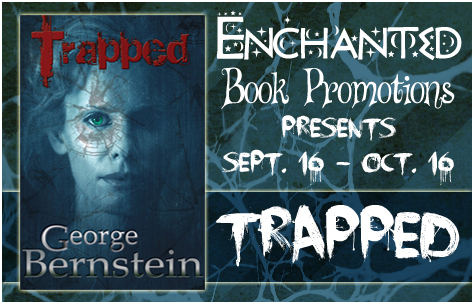 "Trapped" by George A. Berstein. With GUESTPOST by George A. Berstein. The darkness is still, silent. Jackee Maren’s heart pounds reverberating through her body as fear sears her veins. Someone’s coming. No way out. This time they will kill me. Her breath is short, her chest burns. Must run. Faster. Faster! Her eyes fly open, her heart still racing with blinding fear. Jackee breathes deeply with relief and stares at the ceiling desperately trying to calm herself. The same dream. Something, someone is watching… and waiting. A tragic car accident leaves beautiful, vibrant Jackee Maren completely paralyzed, mentally alert but trapped in “Locked-in Syndrome,” able to move only her eyes. Jackee’s husband, Phil, is devastated and her two young boys left with nothing but a shell for a mother, but still, Jackee senses the foreboding of an evil presence and knows time is short. Slowly, Jackee learns to communicate with her physical therapist, Kevin, by blinking her eyes. As evidence comes to light that her car accident was no accident, Jackee knows she must expose the person who wants her dead before they get a second chance. While Jackee works her mind to put all the clues together, she discovers she has the ability to sense the thoughts of others, but she hides this talent from everyone but her sons, not knowing whom she can trust. By actively exercising her new psychic ability, Jackee finally learns who masterminded the accident but seems helpless to stop them from trying to kill her again. Slowly a psychic plan forms to not only ensure her boys are safe forever, but to exact revenge on her would-be murderer. Jackee vows not to rest until this would-be-killer understands what it is to be TRAPPED! But she must hurry, with only a year to live. George Bernstein is a youthful seventy-seven-year-old, with a B.A. from Northwestern University, now living in south Florida with Dolores, his wife of 54 years. He is the retired president of a publicly held Chicago company. George’s main interest now is as a serious novelist. He has attended numerous writers’ conferences and seminars, including that of famous fiction agent, Donald Maass, and he has worked with independent editor, Dave King, all with the goal of improving his craft. 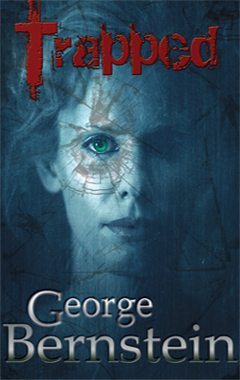 George’s first novel, Trapped, is published by TAG Publishers, after being a finalist in their Next Great American Novel contest. Dee Burks and her staff really love the story, and have put a lot of effort into comprehensive editing and revision suggestions, making Trapped the best it can be. Trapped was also a finalist at the 2012 Florida Writers Association RPLA fiction contest, and has since acquired over seventy 4 & 5-Star reviews on Amazon and Goodreads. My novel, TRAPPED, published by small independent press, TAG Publishers, is getting rave, “best-seller” type reviews. The most common thing I hear is, “It’s so different. I couldn’t put it down.” One reader resented having to leave the story to walk her dog. Yes, I started writing TRAPPED in 1990, and managed to finish the first draft in probably 6 months. The idea for the main character, Jackee, came from remembering a beautiful young neighbor when we lived in North Suburban Chicago, who suffered an anesthetic accident while undergoing plastic surgery, condemning her to a vegative state for the rest of her life. I imagined Jackee being sentient, however, still sharp of mind and able to move her eyes. I knew nothing of “Locked-in Syndrome” at the time, not realizing I’d “created” a real condition. Since Jackee was immobile, I decided to create a side plot with her husband, and the Chicago Mafia…something to engineer some physical action. I spent more months editing, polishing, rewriting, until I had a story I loved. Surely the publishing world would love it, too, so off to the library, seeking books with lists of agents. There were several reference books that had useful article about how to write a query letter. I compiled a list, seeking agents who specialized in suspense fiction, and sent off about 15 letters, confident one…or more… would find the idea of TRAPPED as compelling as I did. Unfortunately, none of those other agents were interested, despite several more batches of queries I dispatched. All the articles urged the “newbie” not to be discouraged. Rejection is part of the game, but…well, it does get to you after a while. Then a friend in my community had a son-in-law in New York who was a Literary Attorney. A phone call brought an invitation to send the manuscript and a synopsis, and he’d see what he could do. He was very impressed, and had offered the manuscript to friends at a large New York Agency. Things were looking up! Then came a letter from the agent that the novel had promise, but needed professional editing. He recommended Dave King, author of “Self-Editing for Fiction Writers.” I jumped at the chance, and Dave was terrific, with lots of good input… and the suggestion I remove the side plot. It detracts from the story, he said. I worked with his recommendations, but resisted that one change. The newly rewritten TRAPPED was resubmitted, but the agency lost interest. Off went another battery of queries and the rejections kept coming. I attended several fine writers conferences, met agent and editors, learned how to improve my writing, and eventually did remove the side plot. Meanwhile, I was writing three more suspense novels, but kept coming back to TRAPPED, because I felt it was something special. Finally, I started entering fiction contests, and TRAPPED became a finalist in the Florida Writers Association RPLA contest in 2012. Then I noticed that TAG Publishers, a small independent Texas publisher, was trying to enlarge their fiction line by running “The Next Great American Novel.” I was becoming jaded and was seriously considering self-publishing, as I’d done for my non-fiction fishing book, TOOTHY CRITTERS LOVE FLIES. But I “girded up my loins,” and sent TRAPPED to TAG. What could I lose, other than 350 pages of paper and some in and postage. I was so unprepared when Dee Burks, editor for TAG, called me, that it took me a full minute to realize what was happening. “Everyone here loves your novel,” she said. “You’ll be a winner in our contest if you’ll allow me to edit it and make a few changes. If you’re willing to work with us, we will publish TRAPPED. Are you interested?” What a silly question! I’d been accepting most expert suggestions for over 20 years, so I was ready. Dee is a great editor and had some fine ideas on improving the novel. Foremost was converting the entire story to the single, 1st person viewpoint of Jackee. All the chapters dealing with other characters were eliminated, and whatever went on in those had to be discovered by Jackee, locked inside her head. Dee did want to change the final scene, which I resisted. After listening to my arguments, she agreed, but we did expand and modified some of the last chapters, all to great effect. And one of the other most persistent comments I get is, “I loved the ending.” One reader admitted she reread it 3 times, she loved it so much. So do I! So, that’s how I became an “Instant hit,”…after 23 years of trying. Now that I’m having some success, my other 3 novels have a platform to launch from. It’s getting there in the first place that takes all the work…and the pugnacity not to give up. Thanks for hosting TRAPPED on you blog during my VBT. We authors know how much effort and time goes into one of these, and we really appreciate the effort. I hope you had an opportunity to read TRAPPED and enjoyed it as much as the seventy-some 5 & 4 star reviewers. I'd be happy to answer any question or respond to comments from any of your followers. Many people have questions about Locked-in Syndrome, and I did tons of research on that scary condition.